As a SpotOn Sales Partner, you will also get to work with our in-house marketing team to create personalized assets that will help you succeed in your local market. This includes various on-demand assets SpotOn has already developed as well as any unique marketing material you and your Sales Team think will benefit you. In fact, many of our existing marketing resources were developed based on requests and suggestions from Sales Partners in the field. 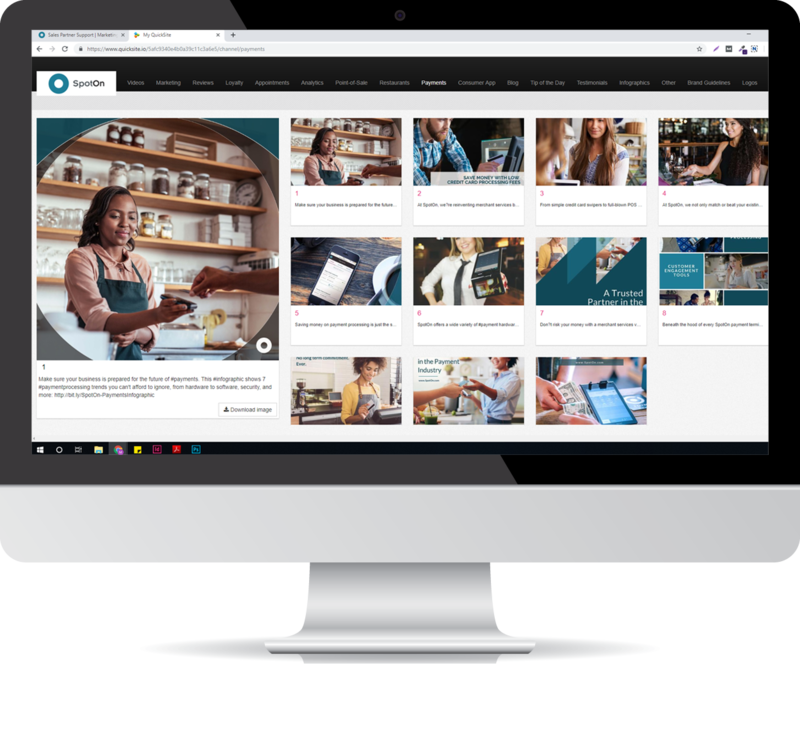 SpotOn also has a Digital Asset Management System (DAMS) where all of our digital assets are easily accessible, including the SpotOn logos, product shots, official letterhead, social media ads, videos, infographics, and more. 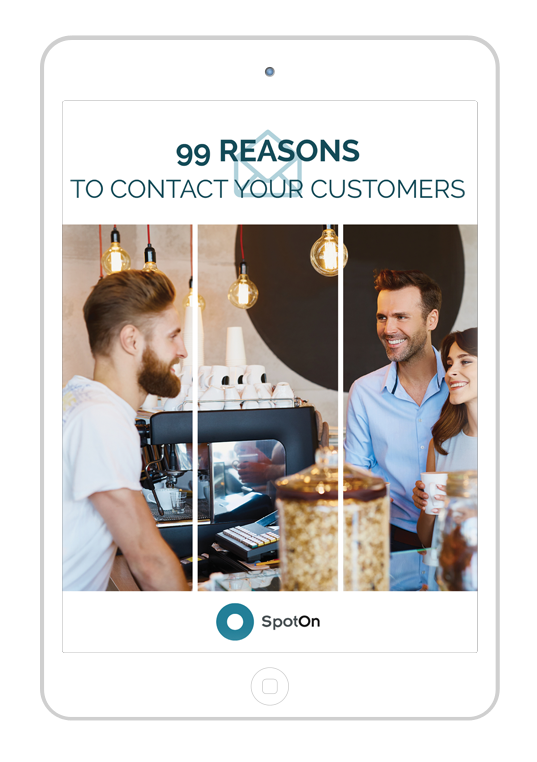 These assets are freely available to you as a SpotOn Sales Partner so you can professionally brand yourself as a representative of SpotOn in your marketing and networking endeavors. SpotOn has a dedicated social media team. That means as a Sales Partner, you’ll have access to a variety of content across all the major social media channels: LinkedIn, Twitter, Instagram, YouTube, and Facebook. You’ll also have access to a variety of other resources that you can share on your social media channels to help network and promote your local business as a Spot On representative. Videos are a great way to not only capture people’s attention but also educate them quickly and effectively. That’s why SpotOn is dedicated to producing an ever-growing library of product videos, video case studies, and our monthly Spotlight video series. 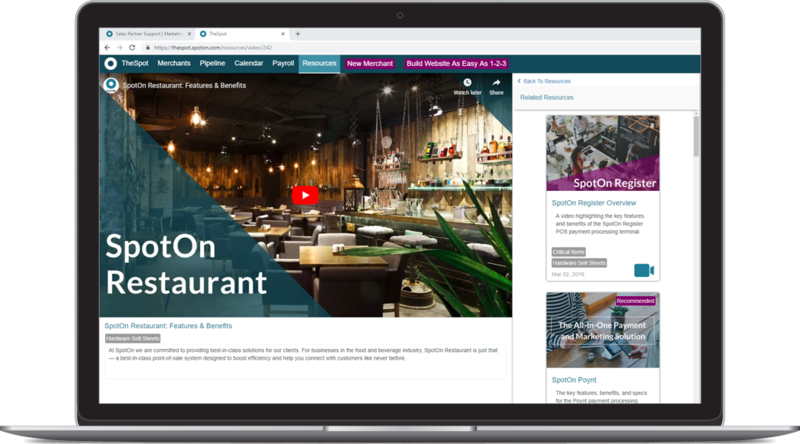 As a Sales Partner, you’ll be able to easily send product videos and case studies to merchants right from our sales portal, TheSpot, whether it’s to assist merchants you’re already working with or to educate prospective merchants. Meanwhile, the monthly Spotlight videos are specifically for Sales Partners, with up-to-date company news and announcements, insider sales and product tips, and conversations with some of our most successful Sales Partners so you can learn from your peers. As a SpotOn Sales Partner, you will have access to our closed Facebook group page once you’ve signed your first deal. 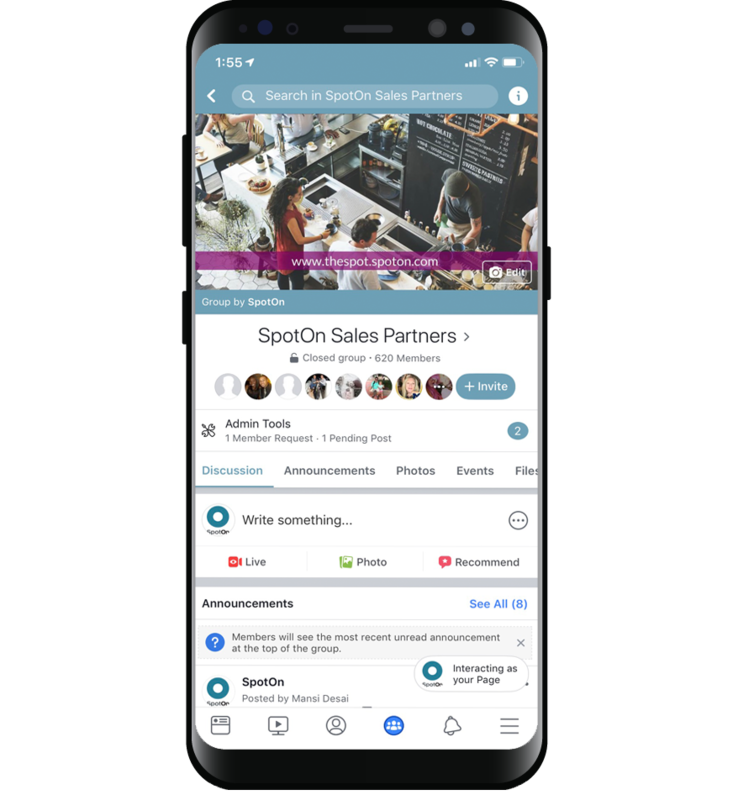 On the group page, you’ll get up-to-the-minute company news and updates straight from SpotOn headquarters. The group page is also a great place to network with other Sales Partners, ask for advice, and share insights from the successes you have in the field. Sales Partners from all across the country actively use our closed Facebook group, and taking part in the daily discussions on the page is a great way to connect with other Sales Partners and stay current with trends in our industry. 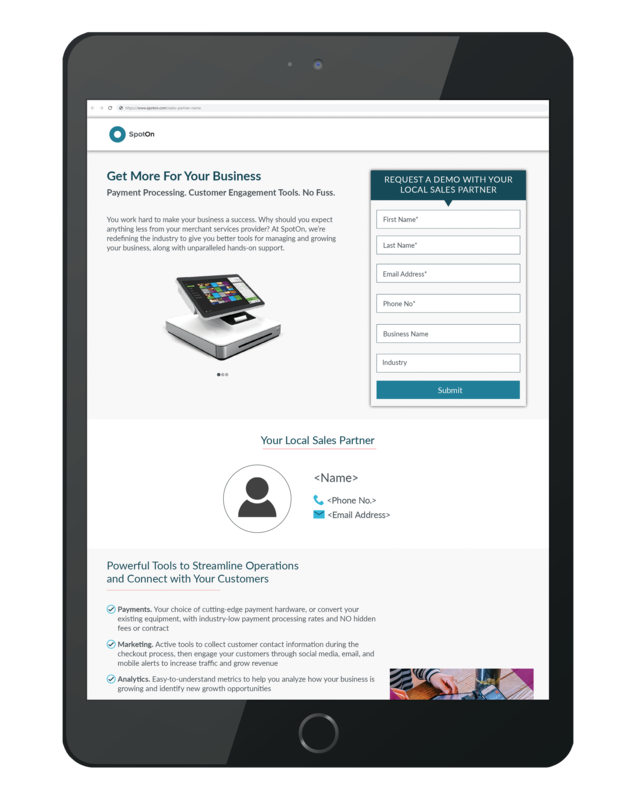 Oftentimes, one of the best marketing tools for Sales Partners is to let the SpotOn platform speak for itself. Once merchants get the opportunity to see how our platform can save them time and make it easy to connect with their customers, they fall in love with it. As a Sales Partner, you’ll have the ability to demo the platform to prospective merchants from a computer, tablet, or right from your phone. You will also have the peace-of-mind and sense of pride that comes with knowing that our top-notch product teams in Chicago and Detroit are constantly working to improve our platform. 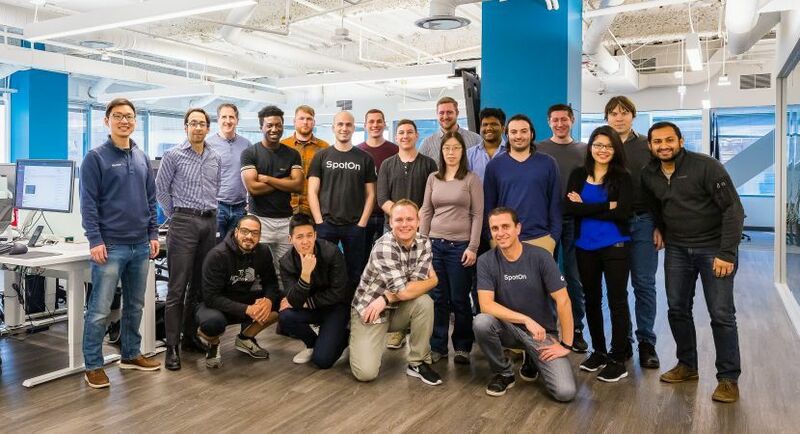 Our product teams are some of the best in the business, and they excel at developing new tools and delivering them to market quickly.